Automatic Roll Heat Sealer | Tamar Laboratory Supplies LTD. 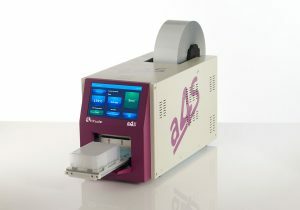 The a4S sealer is compatible with a wide range of SBS footprint plates, including all PCR plate formats from 96 well to 1536 well, assay plates, deep well storage plates and microplates. Varying plate heights, from 3mm to 60mm can be accommodated with minimal adjustments of the instrument. Plates are presented in the portrait format and the plate position on the shuttle allows good access for robotic integration. SiLA compatible – Quick and easy integration with other SiLA compliant devices using the SiLA driver (available at extra cost, please see ordering information).